With the growth of online shopping comes the expectation that we should be able to get our hands on pretty much anything with a few clicks of a mouse or taps on a screen. According to eMarketer, 2017 is predicted to see 10% of all worldwide retail purchases made digitally[i]. This means the packaging industry has needed to innovate, to ensure items purchased over the web arrive safely at their destination. Here at Rajapack, we know an awful lot about protective packaging. 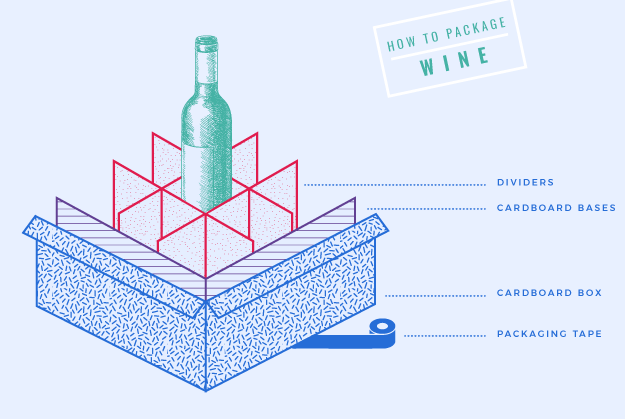 Wondering how to package something valuable or oddly-shaped? Follow our step-by-step guides on how to package some of the more difficult things companies or individuals might need to protect during transit. 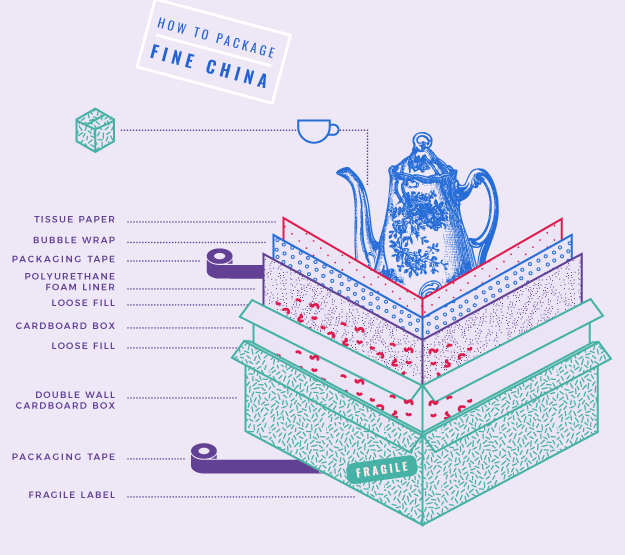 We’ve also spoken to companies who rely on good quality packaging to get their advice on how to package items so they arrive in pristine condition. It’ll be easier to package the chandelier if it’s hanging. If possible, wrap it in situ or use an industrial hook. If not, be sure to place the chandelier on plenty of padding; cushions, towels and blankets work well. Laying it directly onto a hard surface is likely to damage it. To package the chandelier, first find a suitable cardboard box. Ideally the box should be around three inches larger than the chandelier all the way round. Consider the weight of the chandelier. For heavier chandeliers a double wall cardboard box will provide extra protection and puncture resistance. Remove all light bulbs from the chandelier and pack in a separate box. Look for any other detachable pieces, if any other pieces can be removed, wrap these individually and package them in a separate box. Next, look for any sharp edges that could be damaged during transit. Wrap these with thick packing foam or use cardboard and tape to protect them. Pay attention to the top and bottom of the chandelier, the bottom is where the most pressure will be and, along with the top, it’s the part most likely to be damaged. 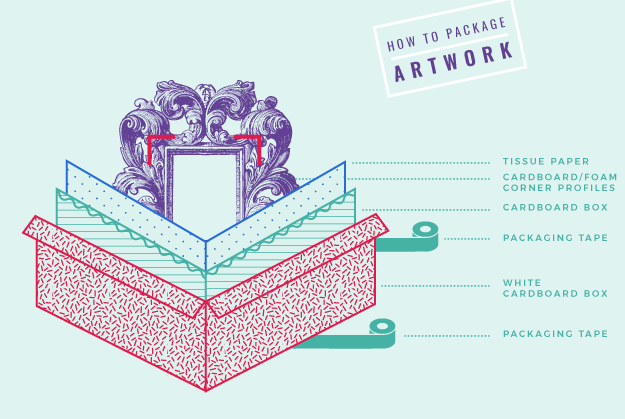 Wrap these areas well with packaging foam or bubble wrap. Make sure the bottom of the cardboard box is well secured with tape. Cushion the bottom of the cardboard box with foam wrap or bubble wrap. Use your hands to wrap any loose wires and secure with cable ties. Lower the chandelier into the box and hold as upright as possible. Fill the rest of the box with loose fill, making sure these are well compacted so the chandelier can’t move around. 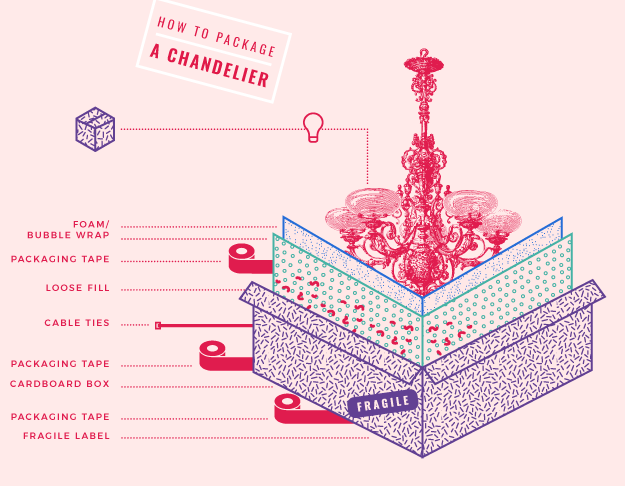 Once you’re happy the chandelier is tightly secured inside the box, cover the top with layers of foam or bubble wrap. Close the box and seal with tape. Label all boxes containing the chandelier’s parts as ‘fragile’ and be sure to mark which way up the box needs to be kept. Specialist fragile and this way up labels can be used. We’ll take the print and wrap it in tissue paper. It’s then secured onto the cardboard with corners to ensure it doesn’t move around during shipping. Another piece of cardboard is then placed on top and the two pieces of cardboard are secured together with polypropylene tape. The two pieces of cardboard are put into the white box, which is then secured with more polypropylene tape. We then use document enclosed envelopes to address the package and ship it via a 3rd party a courier. First, make sure you’ve enough space to work. Clear a large packing table or workstation, if you do not have a large enough space, lay blankets on the floor to create a big enough surface to see all your materials and items to pack. The blankets will also help protect the fine china from accidental drops and breakage. Lay out the fine china you need to pack and sort the items into similar sized groups. If your items aren’t similar shapes or are extremely fragile, separate smaller boxes will provide better protection. These smaller boxes can then be packaged inside the second cardboard box. Wrap each item individually with tissue paper and secure with tape. Then repeat this step with bubble wrap, completely cover each item in bubble wrap, and secure with tape. With very delicate items prone to breaking, it’s always best to err on the side of caution. A lot of damage to these kinds of items occur because they bump into each other during transit. Take your smaller cardboard box and cut two pieces of polyurethane foam liner to fit snugly inside. Place one section into the bottom of the box and put your first layer of wrapped china on top of this, then cover with about two inches of loose fill. Repeat until the box is 1-2 inches away from being full. Now add the second piece of polyurethane foam, ensuring there is a gentle pressure when you close the box. Be careful not to add too much pressure as this could damage the contents. Add around three inches of loose fill to the bottom of the larger box and place the packed smaller box on top. Use loose fill to fill all the space around the smaller box. Once this is done, close the double walled box and secure all flaps and edges firmly with tape. A fragile label can then be applied to the box. Make sure you have a clear space to work in. Remove any extra accessories, such as lights, mudguards and bottle holders. Wrap these separately and add to the box after your frame. Remove the bike seat. If your seat is attached with a bolt, put this in the separate box or plastic bag so it isn’t misplaced. Then use the spanner or wrench to remove the pedals. If you can, turn your handlebars 90 degrees so they align with the bike frame. If this isn’t possible, you’ll need to remove these too. Unscrew any bolts holding the handlebars in place, but don’t detach any cables. Lower the handlebars vertically so they sit in line with the front wheel. Next remove your front wheel. If you have quick release bolts this is very simple. If not, unscrew any bolts and add them to the box or plastic bag with the others. Let some air out of both tyres before packing them. To protect your bike during transit, first you’ll need to use cable ties to attach the handlebars to the main bike frame. Use foam tubing wrapped around the bike frame to prevent scratches, secure in place with cable ties. Wrap as much of the frame in foam as possible for the best protection. Where it’s not possible to use foam, use bubble wrap instead and secure with tape. Cover all cogs well with protective bubble wrap to avoid the sharper edges scratching the rest of the bike. 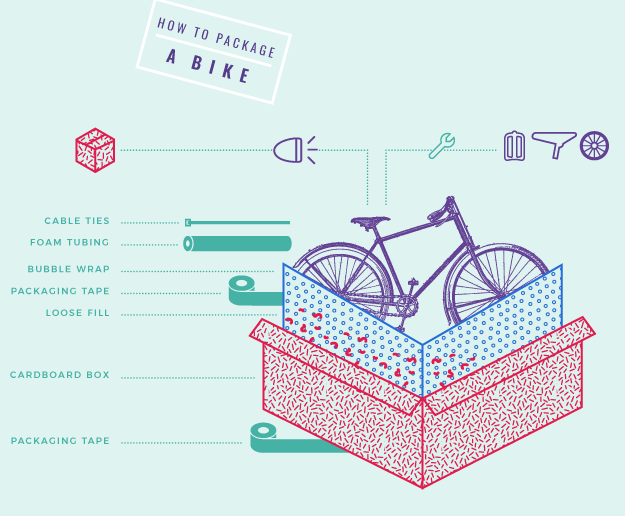 Fill the bottom of the box with about two inches of loose fill and place the bike frame on top. Then slide your front wheel into the box next to the frame. Add the small box or bag holding any nuts or bolts, along with any accessories removed at the beginning. This entry was posted in Packaging Industry News, Packaging Products & Materials and tagged advice, delivery, packaging on May 23, 2017 by Rajapack UK.